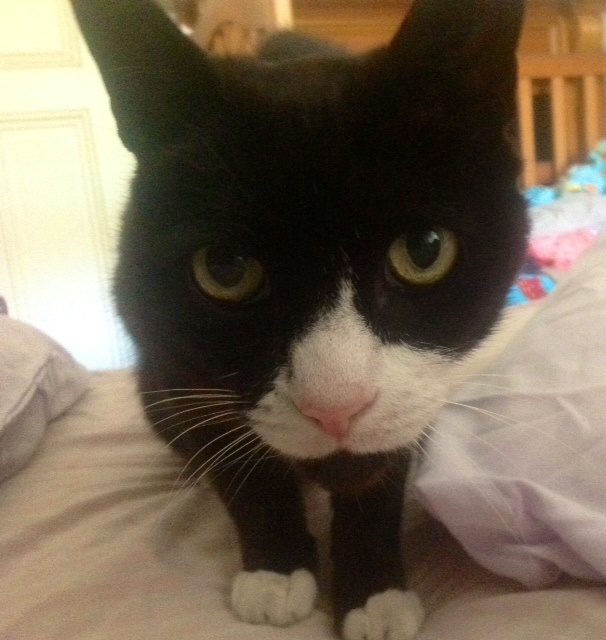 Last Sunday morning I woke up with my son Hamish, Spike the cat and a broom in my bed. This was not entirely unusual. Welcome to my world. 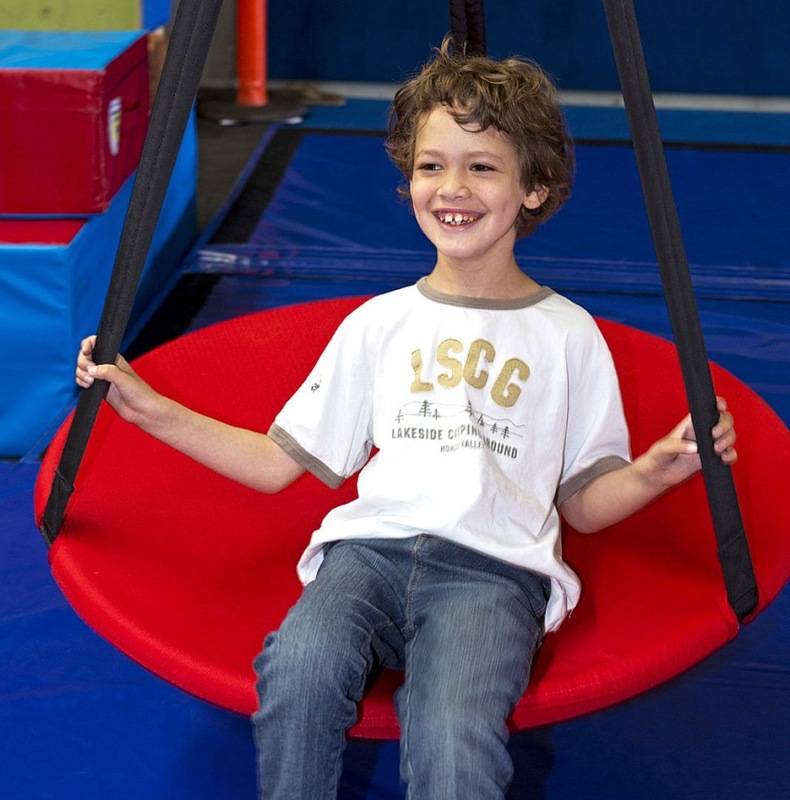 Hamish is eight and has Tuberous Sclerosis, which was diagnosed when he was two days old. He has global developmental delays and very little formal language so far. He also has the face of an angel, an array of very effective communication and charm techniques and is endlessly funny. Whilst Hamish is not technically autistic as such, he has a few mannerisms which are termed “autistic tendencies”. These include the lack of speech, lots of happy flapping and and a tendency to wander off if given half a chance. Fortunately he is never presented with that chance. These tendencies are counterbalanced by the fact that he loves attention, will shamelessly charm anyone who grabs his interest and his love of socialising. Life with him can be challenging at times and not always predictable, but I’ve found that maintaining an open mind and trying to see the humour in situations is essential. His schooling is a great example. 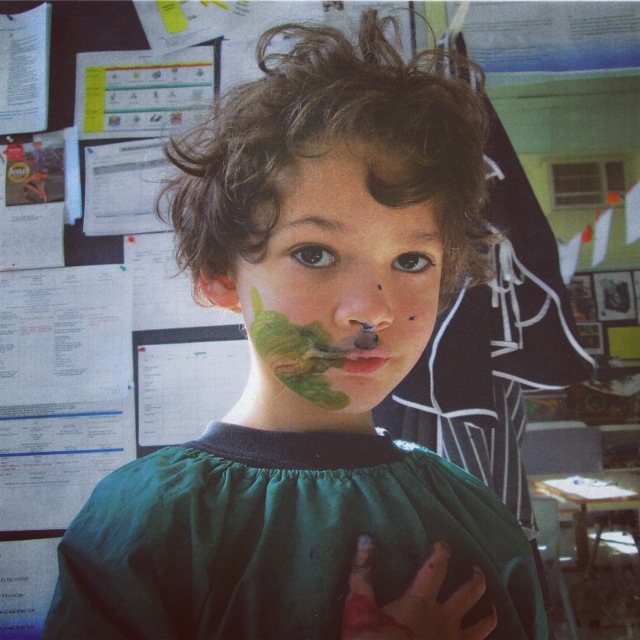 Hamish is in his third year at a lovely specialist school here in Melbourne. During the term, the school bus arrives to collect him at 8.35 each morning. Hamish loves catching the bus and is loudly greeted by the other kids when he hops on. On his birthday recently, the whole bus sang Happy Birthday to him before they set off. This certainly got the attention and a few smiles from people walking past our house. At school Hamish is in a class of five children, with a special needs teacher and two assistant teachers. His curriculum consists of art, music, drama, dancing, literacy, numeracy and swimming. In Hamish’s class, it also includes Swahili as a second language. Peter the assistant teacher is from Kenya and is teaching Swahili words to Hamish and his classmates. I’m not sure how much Swahili is sinking in with Hamish, but given that his other teacher is from the USA, I’m half expecting him to start speaking Swahili with an American accent. It’s a wonderful school and the care and dedication shown by the staff is amazing. Hamish is thriving in this environment. His sense of humour and love of silliness is encouraged, even if it involves him throwing all of the class teddy bears out the window or getting soaked in water during sensory play. When I arrive to collect him in the afternoon he is always happy and draws out the leaving process as long as possible. This routine includes giving each of his teachers a good bye pat on the face and trying to sneak out the door with whichever toy he happens to be playing with. By the time I’ve chatted to his teachers, extracted Hamish and said hello to the other parents it is often a case of the long good bye. 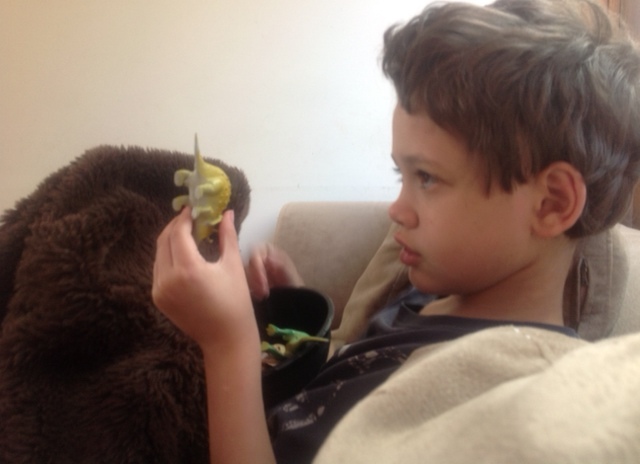 At home Hamish loves to potter in the garden, sort through his toys, play on the iPad and snuggle. The obedience he shows to his teachers usually magically disappears at home, where it is replaced by what I call selective deafness. Which is not to say he is naughty. He’s a very chilled little boy, but has plenty of attitude and is very good at getting his own way. He’s also a master of passive resistance. When bedtime rolls around he won’t kick and scream if he’s not tired. Instead he will walk with me to bed, but gradually sink to his knees, then onto his hands and knees, then finally onto his tummy in the manner of a reluctant snake. He thinks this is hilarious. Once he’s finally slithered into bed he usually goes to sleep pretty quickly. The nights when he decides he doesn’t want to sleep can be interesting. He will either very calmly come out of the bedroom again and again to show me that he’s still awake, or he’ll quietly and efficiently pull everything out of the cupboard and scatter it across the room. I personally prefer the first option. Like many developmentally delayed children, Hamish goes through phases of being fixated on a particular toy or domestic item. The egg whisk is a perennial favourite and the dish brush frequently goes missing. Computers are also especially interesting. He has an iPad, but is fascinated by anything with a keyboard, a mouse and a monitor, especially if they belong to his big brother. Fortunately, Hamish is extremely healthy and has none of the dietary problems which can afflict children with Tuberous Sclerosis. He loves food and will try almost anything. His tastes actually run to the quite exotic. He prefers camembert and quince paste on water crackers over regular biscuits and loves anything spicy. Chocolate and ice cream are his first loves though, so in that respect he’s much like all little boys. Which brings me back to waking up with Hamish, a broom and a cat. The broom is his latest fixation. He drags it across the floor, swings it around and takes it with him to his thinking spot on top of the step ladder, where he sings to it. He loves it so much at the moment that he brought it into bed for a cuddle. Along with his his opportunistic cat Spike. Which pretty much sums up life with a child such as Hamish. Its nothing if not interesting. Sometimes frustrating and on rare occasions sad, but overall funny and happy, in a slightly demented sort of way. Kate! Love this. And that smile, those curls, OMG, and the name. Heart.breaker! Love hearing about your sweet boy and his awesome mama. Hugs my friend!